Synonyms: Alangium lamarckii, Grewia salvifolia. Ankol grows wild in the plains and mid-hills of India. It is usually found in dry deciduous forests or on fallow and wastelands near villages and shrubberies. This is a variable in habit. Though a tree, but it can sometimes even be a climber. 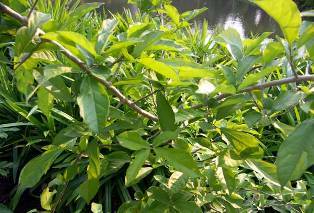 Ankol is a very important in India as a medicinal plant. 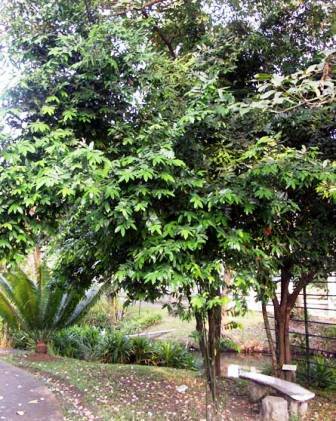 Almost all the parts of this tree are used in several ayurvedic preparations. A deciduous, rambling shrub of tree, uto 10 m in height with a maximum girth of 1.2 m, armed or unarmed; bark pale brown, aromatic, rough with shallow cracks, exfoliating in sub-corky scales. 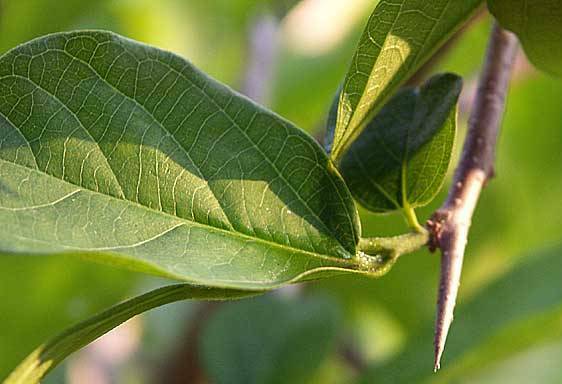 Leaves alternate, variable in shape, oblong or elliptic oblong, acuminate, base rounded or acute, glabrous above and sparsely pubescent beneath, upto 15 cm long, long petioled. Flowers white, fragrant, in axillary fascicles. Fruit a drupe, ellipsoid, black, crowned by persistent calyx, edible. Seeds large, enclosed in red mucilaginous, sweet but astringent pulp. 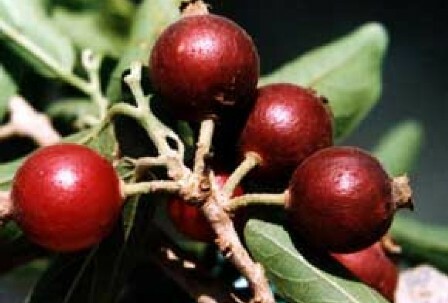 The fruits are popularly edible and are eaten by children though these are somewhat acidic and astringent. The fruits are not marketed. The roots, leaves and seeds are used to cure various ailments in the Indian system of medicine. The seeds also yield oil which is used as an illuminant. New plants of ankol are mostly raised from seed. But this tree can also be multiplied from cuttings and air layering. The rate of growth is, however, slow.